What do authors crave? Book reviews. Most especially, five-star book reviews, but in reality, any book review is a good one. Why? Because it’s book reviews – pure numbers – that boost a book’s visibility on sites such as Amazon, Christian Book, and Goodreads. People looking for books see what the search engines tell them are the top sellers, the most active, the books people are “talking” about in the cyber world. How does an author get reviews? Begs, pleads, threatens (this only works with family and close friends), and whines. Does that work? Marginally. So what’s the better way? How about cultivating relationships with people who do book reviews? There’s a revolutionary thought. Many authors build what they call their “street team” and offer them freebies and perks for being the frontline of their book’s release. These folks agree to post reviews, create blog posts, and share on social media forums like Facebook, Twitter, and Instagram. That’s great! That’s just what an author needs. But … how do we reach out and find other reviewers beyond our circle? Start stalking the reviewers – in a good way! Find books comparable to yours as far as genre and audience appeal. Visit Goodreads and look at the reviews for these books. Are there some reviews that really stand out to you? Reviews such as you’d like to get? Click on the reviewer’s name and go to their Goodreads page. 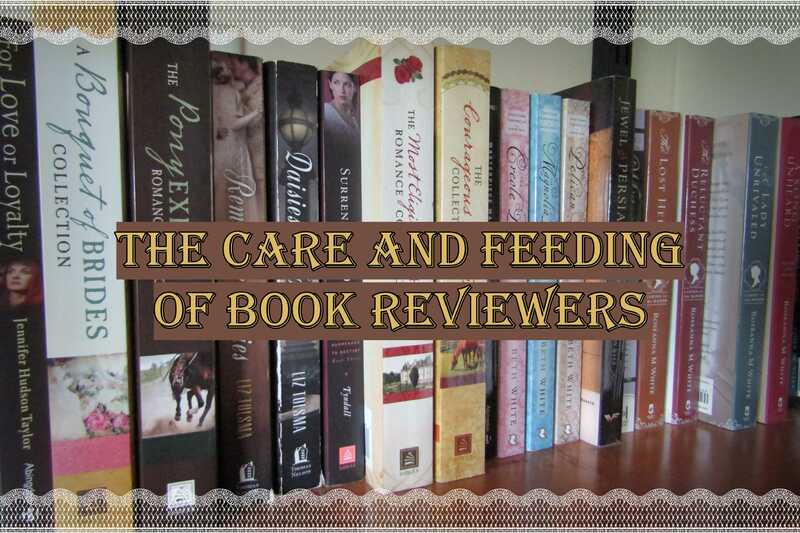 There’s a place there to message the reviewer and offer them a copy of your book to review. You can’t demand a review if you send the book, that’s not allowed, but if this person is regularly reviewing books and you’re impressed with how they do it, ask them if they’d like a copy of yours. (It should go without saying – so of course, I’ll say it – that your book needs to be worthy of a good review. Now you have your street team and you have some new reviewers. What do you do next? That’s right, you’re not done. Check Amazon and Goodreads often – even daily when your book is released. Both places allow you to click a little button after the review that says either “helpful” or “like.” Click. Click on each and every review you’re given. This shows the reviewer that a) you read their review and b) you value it. It doesn’t matter if you have ten or three hundred reviews, you should be personally clicking on each and every one. That’s the pay-back for your reviewers. That’s their “thank you.” Neglect that, and you’re neglecting your reviewers in a world where it’s getting more difficult to find them. I am reviewing more books and I am a member of several launch teams or street teams. I am always thrilled to get a message from Goodreads that the author likes my review. I am striving to be a better reviewer and it helps to feel validated! Subscribe for updates, specials, and sneak peeks! Learn about my new releases and browse all my titles. Writers of Christian historical fiction in the American Colonial era. Investigating the stitches of past and present.